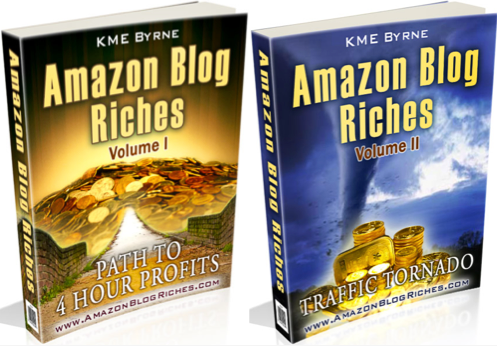 KME Byrne here with yet another JAMMED PACKED Niche PLR Package, BUT instead of ONE Package.... You are getting 6 complete packages including ALL OTO'S. As you may know, I am a well known internet marketer who builds Affiliate Sites for a living. I develop Plugins, Software and write Advanced SEO books. I do this to help my students and AUTOMATE many of the tedious onsite daily tasks. 90% of my students come to me wondering why their sites are failing… and the answer is simple. They NEGLECTED 1 or more, of the 6 KEY PILLARS of Affiliate Site Building. 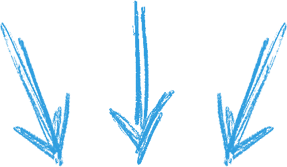 Did you know that if you neglect any ONE of the following, your affiliate sites WILL FAIL MISERABLY? 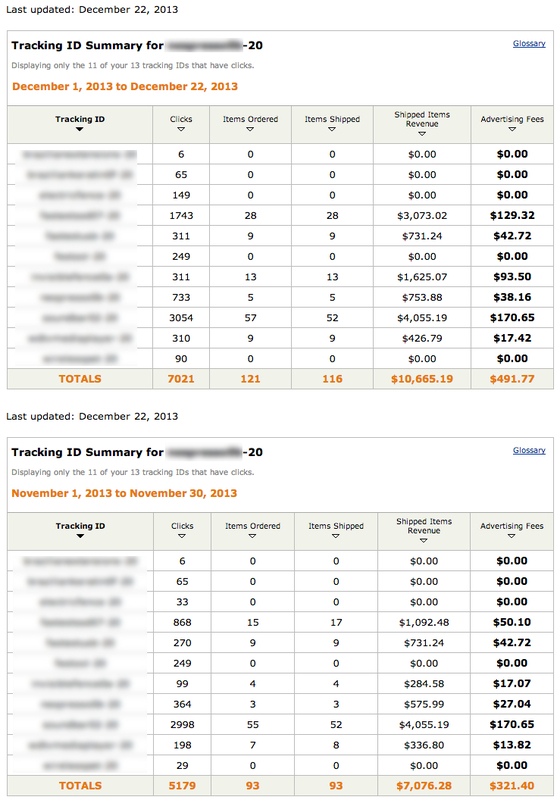 When I started out I did not spend any time on any of the above PARTICULARLY… Keyword Research. I just bought a domain and started writing on some keywords which ALWAYS resulted in nothing. The Results Below speak for themselves. 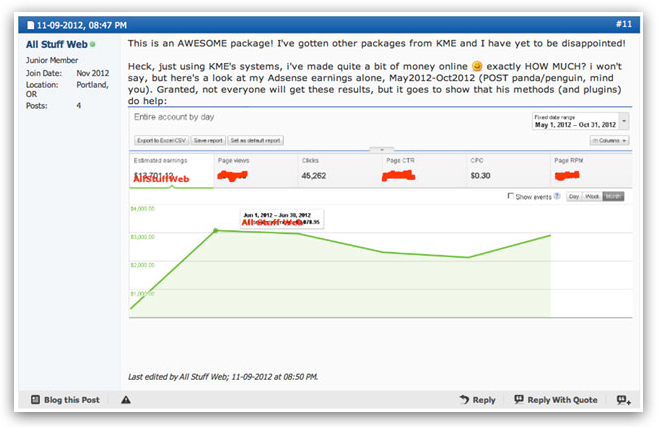 This is what happened when one of my students applied my strategies and used my PLR packets to build profitable niche sites. If you think about it, NORMALLY you would only get the front offer for $9.97. In this case there are 6 TOP selling NICHES.. SO that amounts to $9.97 x 6 = $59.82, PLUS ALL the OTO's INCLUDED... Bringing the total value of this packet to $411.82.. This is not some figure pulled out of thin air, as Most of the packets IS currently on sale for $75.97 in their entirety so what you are getting here today is probably the best deal in a long time. MADNESS i know, but i will only be releasing this package for 3 DAYS ONLY!. So if you are looking for the 6 hottest niches going then grab this package while its available. With this Fire Sale I am even throwing in my Best Selling Courses on HOW to Setup Niche Sites that rank on page 1 and do not get penalized by Google. So if you are new to Niche site building or Advanced these packets will be the perfect fit. Even my courses alone provided as bonuses are worth the price of this special 3 day fire sale. I can guarantee you that these courses will have some GOLDEN NUGGETS that you have never heard of before because i am actively building sites with great results. Honestly, this is probably the most complete OFFER that i have put together, YOU get the courses which will educate you on the best methods to building successful sites... and you get the Most SUCCESSFUL Niche Packets... PACKED with keywords, domains, graphics and content INCLUDING all the OTO's. There is NO catch, all i would like is for you to take action, study the courses and start building your sites. STAY focused and everything will come together. Are there OTO's... NO, Because I have included EVERYTHING right here.